Home / Years / 2018 / Alex Acosta shows his strength at Daytona Showcase! 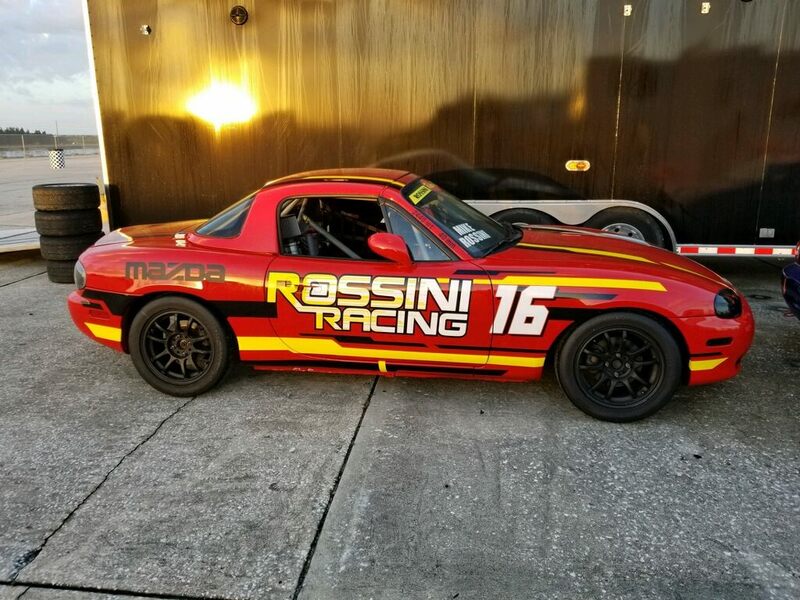 Alex Acosta finally got it all sorted at Daytona this past weekend, where he was one of more than fifty Spec Miata racers that showed up for the ever popular Daytona Showcase Regional. 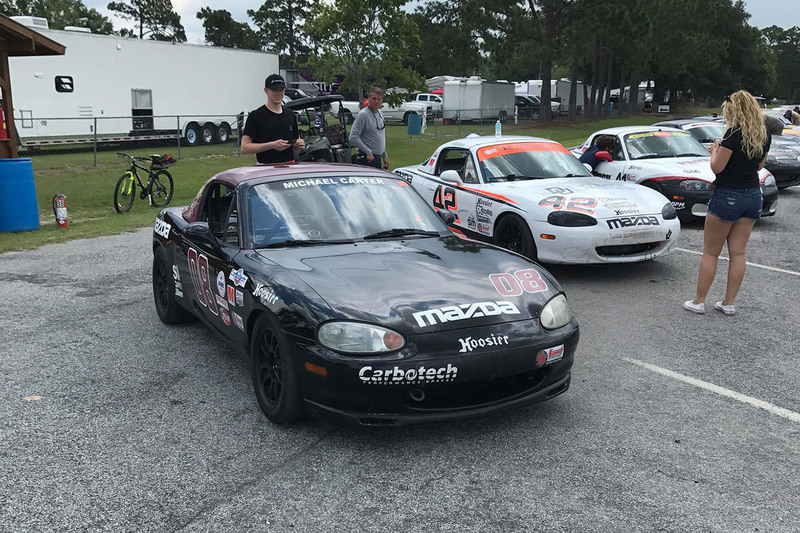 This fun weekend brings out the big boys and most of the SE’s fastest Spec Miata drivers were there to play. 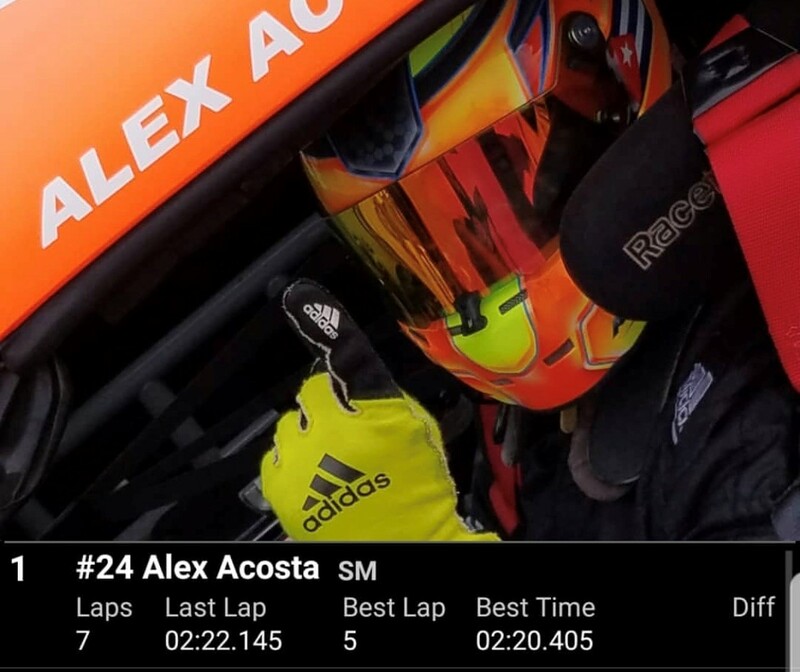 In the Qualifying session, Alex proved that he had the car to beat by setting the fastest time of the day, all on his own, only to have his fastest time disallowed due to a yellow flag after the start finish line. This meant that he would start from 7th place. 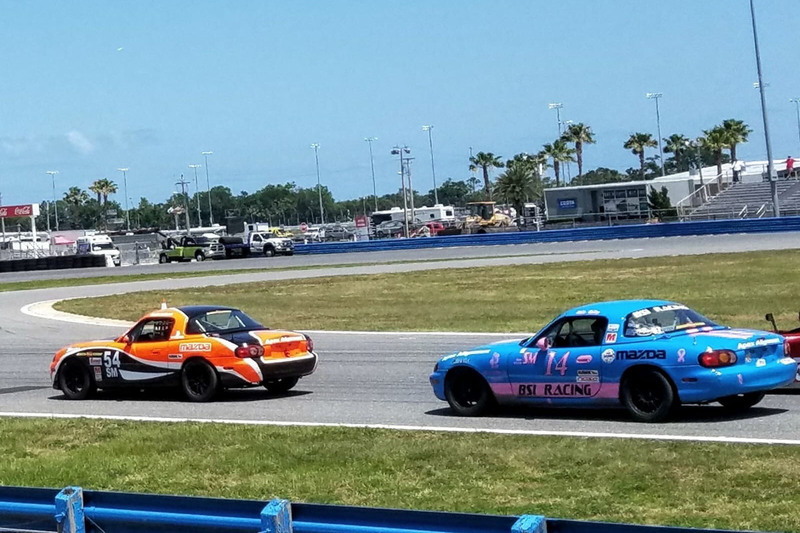 Daytona is a track where drafting is EVERYTHING. You can be first with 200 yds to go and end up 10th. Finding a good drafting partner is critical, but when you are a team of one, you have to make friends. On Saturday’s Race 1 Alex knew that no one was going to push him to the front so he set about pushing others to the front. With a few laps to go he was in first place and knew that he would be a sitting duck on the last lap, so he backed out of it and fell back to 4th with two laps to go. On the final lap Alex glued his bumper to the back of Jamie Tucker’s car and set off in chase of Alex Bolanos and Mark Gibbons who were leading the race. 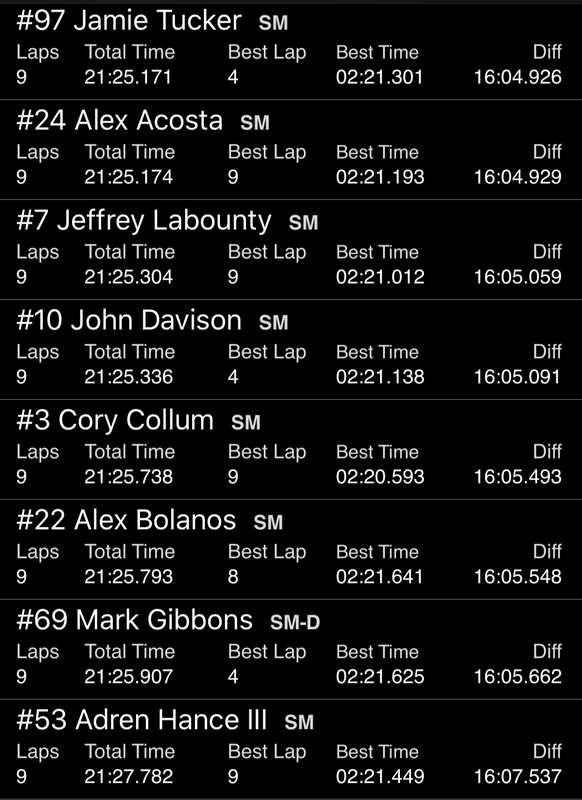 Coming out of the bus stop they were in the perfect position to draft past Bolanos/Gibbons, passing them on the outside and then Acosta broke off to go for the win but fell short by 3/1000ths of a second. 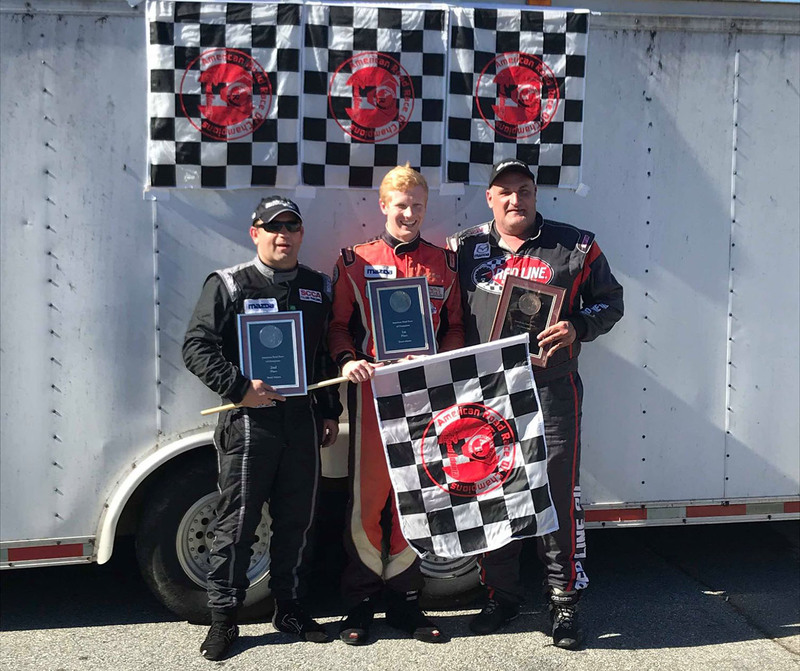 Jamie Tucker took the well deserved win, followed by Acosta and Jeff Labounty finished in 3rd. Labounty and Davison were also able to draft past Bolanos and Gibbons within the last 100 yards of the race. After the race a very happy and satisfied Acosta said …. “I owe this all to Mike Rossini. 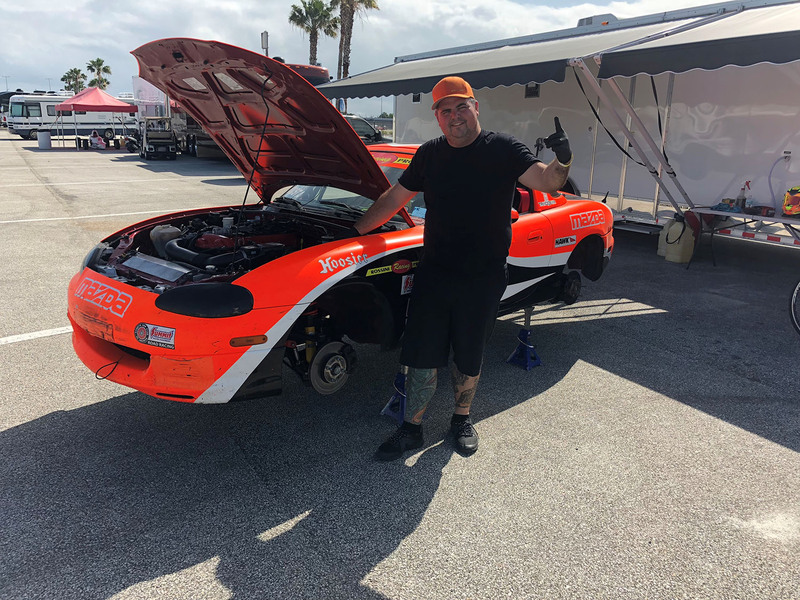 Sure he builds a great car and great engines, but Mike was on the phone with me and my crew chief Frankie Rodriguez all weekend and we made the adjustments he suggested and my car was ON RAILS! But more than that, Mike really helped me with my mental preparation and strategy, and I couldn’t have done it without him”. 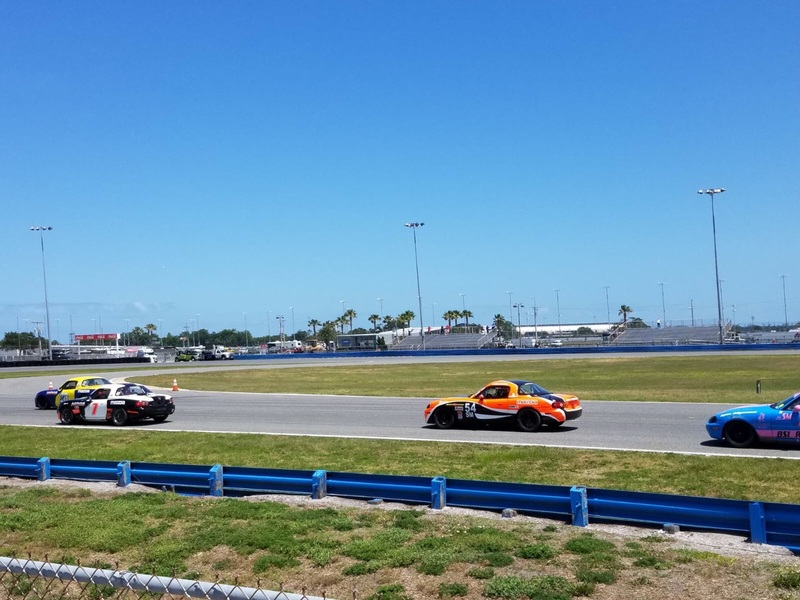 And to make the weekend even sweeter, in the Enduro Alex qualified on pole, but due to complications that arose after the lunch time fan-walk, had to start dead last in the almost 70 car field. 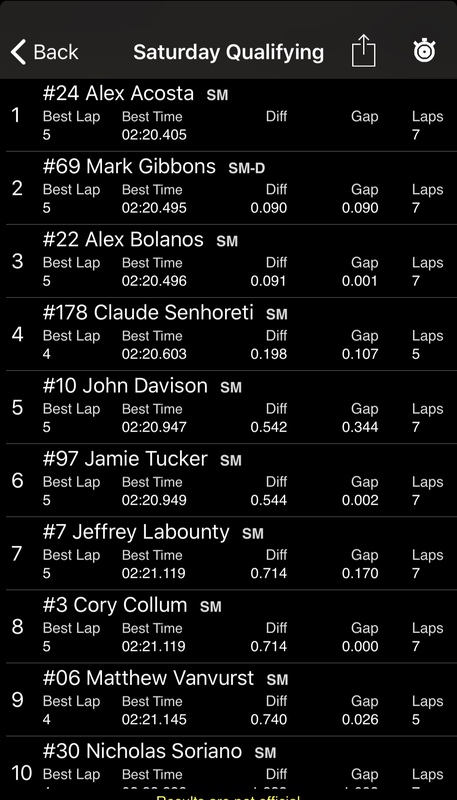 One by one, Acosta picked them off, and by the time they did their 5-minute compulsory pit stop, he had moved up into 2nd place. 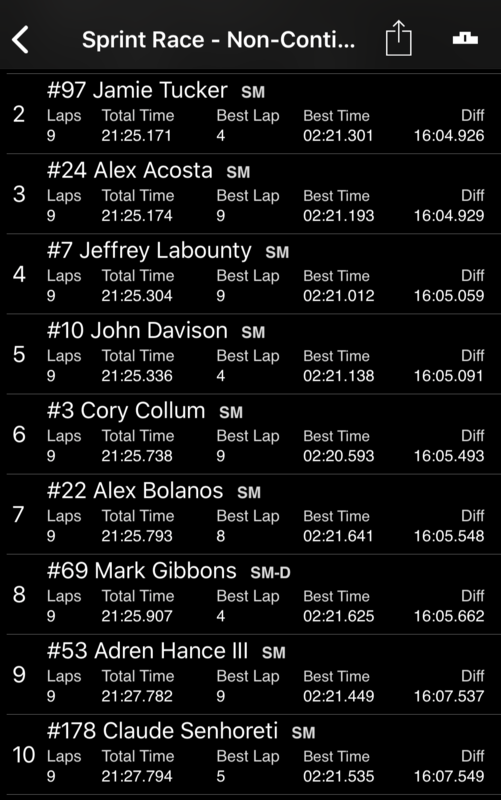 At the end the race, after penalties were issued for short pit stops, Acosta found himself in first place. Dead Last to Winner! How about that at Daytona!!!! 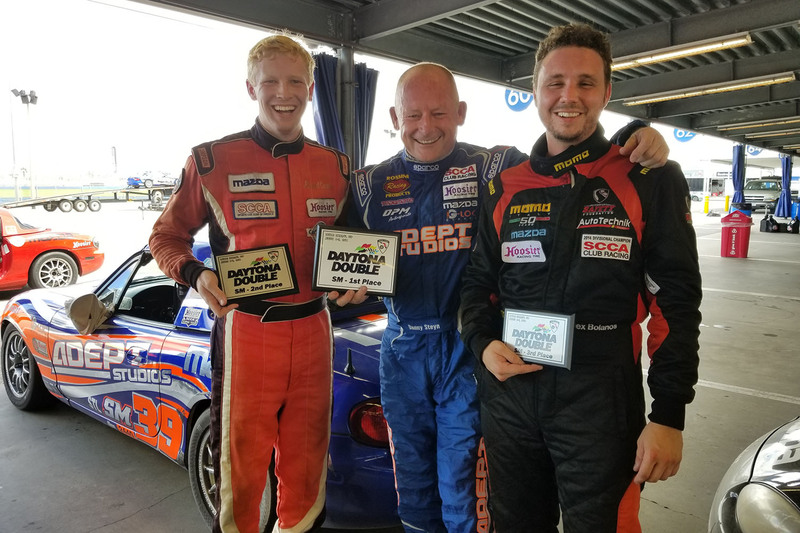 What a great weekend Alex – we are so proud of you!